It’s fun to ride fast but, sometimes, it’s best not to. When riding an unfamiliar road in remote Mexico, you never know what might lie around the next bend. 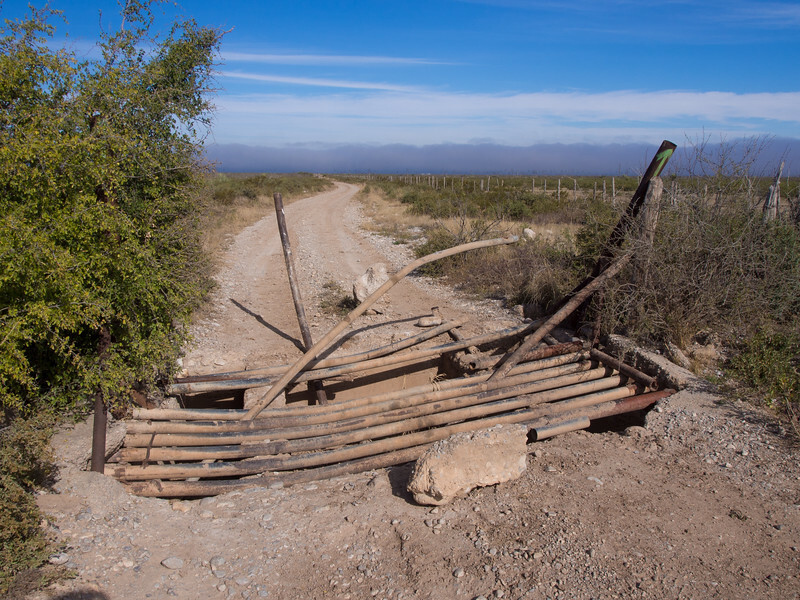 Like this mangled cattle guard. Hitting this thing at speed would be bad. Very bad.